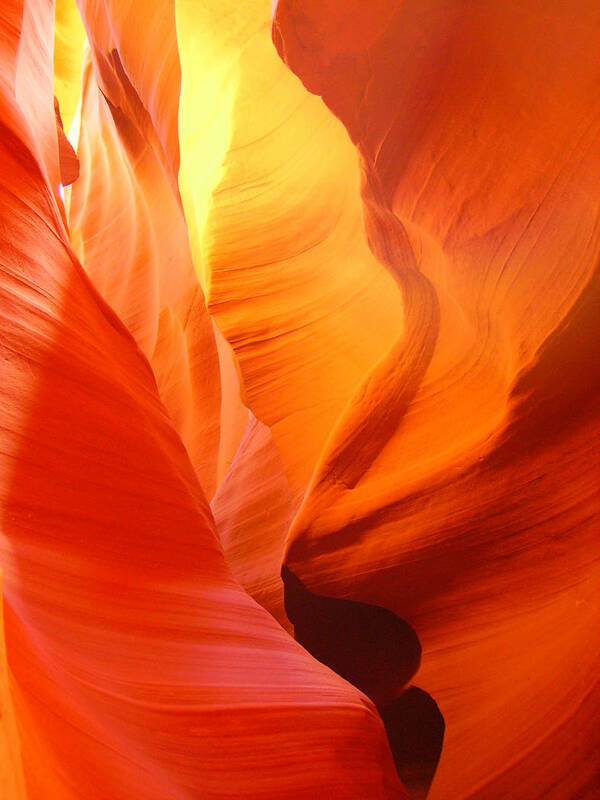 The Upper and Lower Antelope canyons on the Navajo Indian Reservation near Page, Arizona, are two of the most spectacular slot canyons in the world, and, unlike some, they do not require a long trek to reach them. Deborah Wall The classic corkscrew formations seen in the Antelope Canyons of Navajo sandstone are formed primarily by wind and water. The Upper and Lower canyons are near Page, Arizona. Deborah Wall Upper Antelope Canyon is on the Navajo Indian Reservation near Page, Arizona. Guided tours will take you through the slot canyon. The slot canyons are just a few miles apart along the usually dry wash of Antelope Creek. Shaped primarily by wind and water, these are classic corkscrew canyons with walls of Navajo sandstone. Both of these slots are extremely stunning, but the Upper Antelope Canyon is the easier journey, most important if your party includes children or adults who can’t hike very far or handle a bit of rough terrain and metal stairs. Upper Antelope is only a 400-yard round-trip. Along your hike your Navajo guide will point out the names of the formations within the canyons; some guides even play the flute. If your priority is something resembling solitude, the first tour in the morning is best, for this is a popular place. But if taking great pictures is more important to you, aim for around midday, when the sun filters light into the canyon. Some tour groups can advise which tour time will be best for photography on the day you are coming. You must travel to the trailhead with an authorized tour guide. There are two trailheads for Upper and Lower Antelope, and each requires a separate booking. I recommend making a reservation in advance, but tours are usually available even on the day you ask. For reservations or more information, visit www.navajonationparks.org. 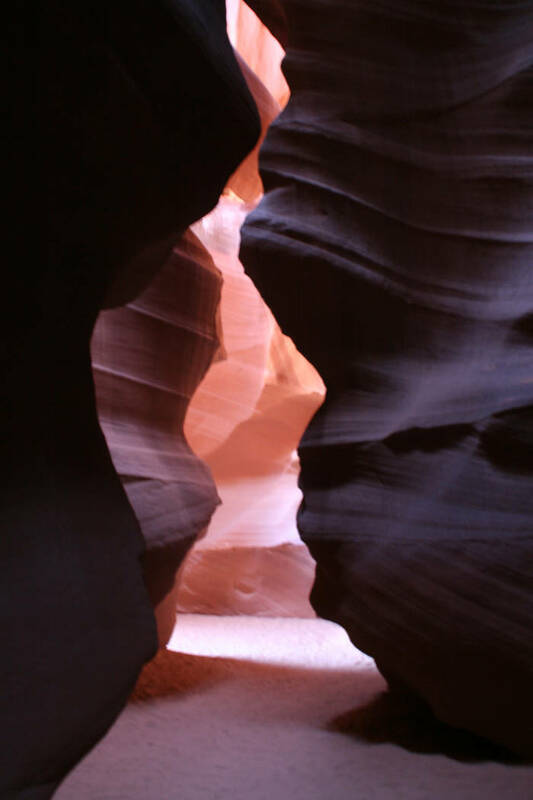 You can easily do Upper and Lower Antelope canyons in one half of a day. Slot canyons are dangerous during and after heavy rains, when powerful torrents of water, mud and vegetation funnel into the slots. On one visit to Upper Antelope, I noticed a juniper log wedged between the walls. It was about 30 feet above the canyon floor. When visiting, bring along hiking shoes and a small daypack containing water, small snacks and camera. Be sure to check with the tour operators for their restrictions. Page has numerous lodging choices and camping opportunities. Details are at www.go-arizona.com/Page. From Boulder City, take U.S. Highway 93/95 west about 25 miles to Interstate 15, go north about 125 miles, then take Utah Route 9 (Exit 16, Hurricane/Zion National Park). Drive about 12 miles and go right onto Utah Route 59 east. The 61-mile paved road from Hurricane, Utah, to Fredonia, Arizona, becomes Arizona Route 389 when it crosses into Arizona. When the road ends in Fredonia you go left onto U.S. Route 89 A north for a couple of miles to Kanab, Utah. From Kanab drive east on U.S. 89 for 70 miles to Page, Arizona.